Everyone experiences some stress in their life and know very little about the ramifications. A little stress is good for you—it’s necessary keep you alert and alive. Unrelenting crisis, chronic stress and the never-ending sagas that keep you up at night and your stomach in knots, damage your brain and body. Stress makes you tired, fatigued and foggy. Your brain doesn’t work like it should and your body is in a chronic state of exhaustion. The effects are nothing short of deadly. Effects of chronic stress are linked to heart disease, depression, cancer and other mental and physical ailments. There are natural ways to reduce stress in your life and the lives of your family. There are two main types of stress: acute stress and chronic stress. Acute stress is generally caused by an immediately perceived threat such as danger, traffic, or a surprise visit from your mother-in-law. It’s short-lived and stress hormones should return to normal once the perceived threat has passed. Chronic stress is what many of us experience—on going stress. This can be tackling acute stressors over and over again, like your mother-in-law announcing she’s moving close by, getting the kids ready for bed, and figuring out how to finish your taxes in time. The stressors don’t go away and your brain doesn’t have time to settle down before the next stressor hits. It can also be more obvious, challenging bosses and pressure at work, trouble with child-rearing or a long-term relationship, financial woes, or an ailing parent. Even small, natural changes in one lifestyle can be frustrating for some. Natural cures are known to help stress but many people can’t adjust to them because changing their current patterns is stressful in itself. If you are told to change your diet, workout, go to the doctor, even add in some extra nutrients keep in mind this is a change to your routine, and that can cause anxiety We do know that testing your brain chemistry is one of the easiest and most effective ways to see how stress is impacting your body—not to mention it allows us to see what nutrients your body actually needs. Because, let’s be honest, taking handfuls of pills is stressful in itself, especially if you don’t think they are helping you. 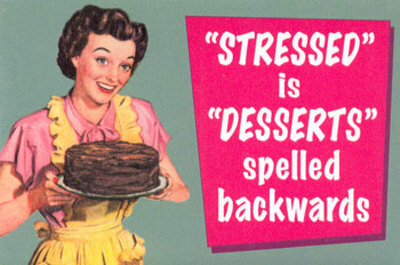 The other adjustment that has been proven effective (and less stressful to many) is eating to reduce stress. There are certain foods you can add in to your diet that are proven to help you with chronic and acute stress. Here are a few. You can eat to reduce stress and fight fatigue. There are many natural foods that have stress-fighting nutrients. Here are some that pack a punch in the fight against stress. Flaxseed, pumpkin seeds, and sunflower seeds are all great sources of magnesium been shown to help alleviate depression, fatigue, and irritability. Pistachios are packed with many important B-complex groups of vitamins such as riboflavin, niacin, thiamin, pantothenic acid, vitamin B-6, and folates. Cashews are shown to reduce anxiety symptoms due to their high content of zinc. One ounce of the buttery nut packs 11% of the daily recommended value of zinc. This is likely because zinc affects the levels of a nerve chemical that influences mood. Cashews are also rich in omega-3s and protein, so snacking on them is also going to increase serotonin. Tryptophan found is the amino acid that helps produce serotonin and has an instant calming effect for many people. If you are a vegetarian don’t fear other foods high in tryptophan include nuts, seeds, tofu, fish, lentils, oats, beans, and eggs. A probiotic powerhouse, yogurt helps restore balance to the gut. By now most of you know that your gut is where the actions act. If your stomach isn’t in balance your brain won’t be either. The bacteria in your gut might be contributing to stress. Research has shown that the brain signals to the gut, which is why stress can inflame gastrointestinal symptoms; Yogurt is full of probiotics, calcium and protein easing stress almost instantly. Research has shown that a small amount dark chocolate, containing 70% or more of cocoa can it can activate the neurotransmitter dopamine and reduce your cortisol levels (the hormone that increases when your stressed). When cortisol spikes stress hormones are released making you feel fatigued and overwhelmed. Another bonus of giving in to that chocolate craving is that the antioxidants in cocoa help blood vessels to relax, lowering blood pressure and improving circulation. Enjoy in moderation. 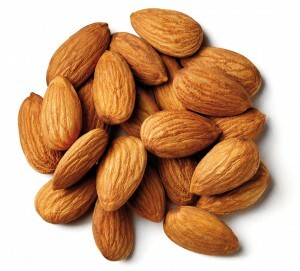 So keep these snacks on hand when you feel acute or chronic stress come on. Another natural way to reduces stress is to be on the right supplementation. By testing your neurotransmitters you’ll find out which supplements your brain and body need. Want to test your neurotransmitters and talk to one of our practitioners about how to reduce your stress and balance your brain naturally? Click here.